I never thought about who invented the Super Soaker, that giant water gun that lets you really soak your friends while not having to stop to refill your squirt gun every few minutes. Did you ever wonder? 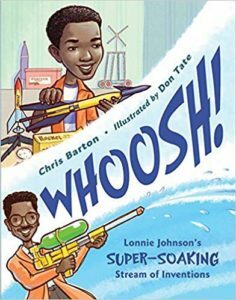 I found out who invented it this summer, as our family was on a road trip, one morning while having breakfast, we saw the story on the hotel TV that the Super Soaker was invented by a NASA and Jet Propulsion Lab engineer, Lonnie G. Johnson! He made a prototype and had his daughter test it, she approved! 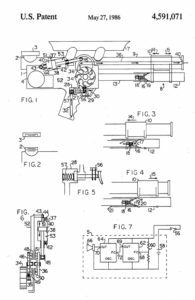 The patent for the Super Soaker was awarded in 1986 and the toy went on the market in 1990. While some inventors invent in the hope of striking it rich, I think it was neat that Lonnie invented this as a side project in order to fund his more serious work that might take longer. And it has funded that work! He’s started three companies. It was an eco-friendly heat pump Lonnie was working on back in 1982 when he used that inspiration to invent a toy. Today, he’s still working on inventions that are good for the environment, projects related to clean energy, including very thin batteries and an energy converter that converts heat directly into electricity! His top priority today is working on clean energy, meaning types of energy that do not cause pollution. Even so, he considers his top three inventions: the robot that moved with compressed air that he made for a science fair in high school, the Super Soaker, and his work on the Galileo project, which visited Jupiter and its moons and sent information back to us here. The Super Soaker has been “among the top selling toys every year since its release” in 1990. And Lonnie has more than 100 patents to his name! How did he make money from his invention? One of the things we talk about on the blog and the podcast is how did the inventor sell their product? Did they invent it while an employee, working for a company that then owns the patent? Did they create a company to manufacture and sell their creation? Or did they license their patent to another company? Licensing is when you give a company permission to make your product in their factory and for every one of the invention they make and sell, they pay you money that’s called a royalty. Lonnie made a licensing agreement with a toy company called Lamari, which was later bought by the larger toy company Hasbro, so when you go to the store today and see a Super Soaker, you’ll see the Hasbro label. P.S. Lonnie also invented the Nerf soft dart guns, using some of the ideas from the Super Soaker! Whoosh! 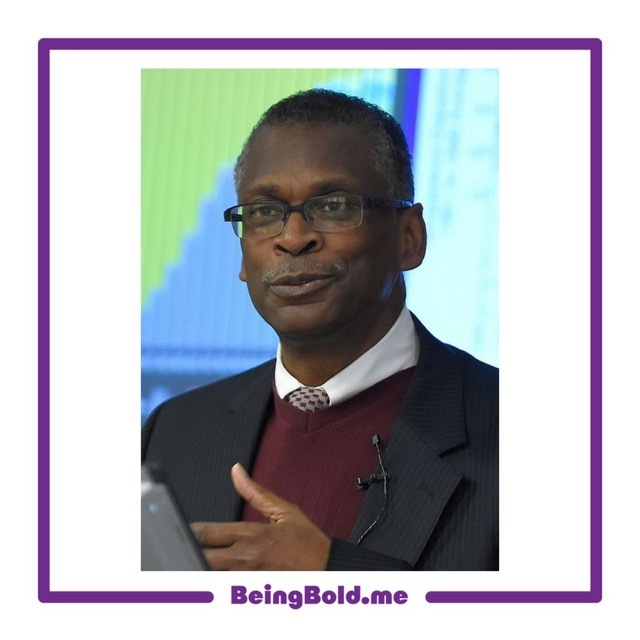 : Lonnie Johnson’s super-soaking stream of inventions by Chris Barton and Don Tate.